Romance sparks between a young woman and a young man from different economic backgrounds during China's Cultural Revolution of the 1960s and '70s. TV Host: Do you like the city? 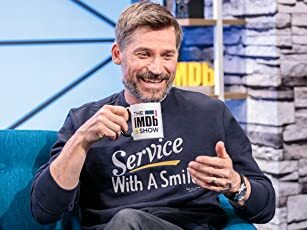 TV Host: What is good about it? Zhang Huike: The city is beautiful and prosperous. Much better than the country. TV Host: What's the most lasting impression? Zhang Huike: That I had to beg for food. I will always remember that. This is the depiction of a true story with the two lead characters performed by the actual person: Wei Minzhi, 13 year old young girl who is a substitute for the village teacher, and Zhang Huike, 11 year old young boy who left school to go to the city to find work to pay for family debt. It is DERTERMINATION personified. She is one young lady who's not worried about her looks or other people's criticism. 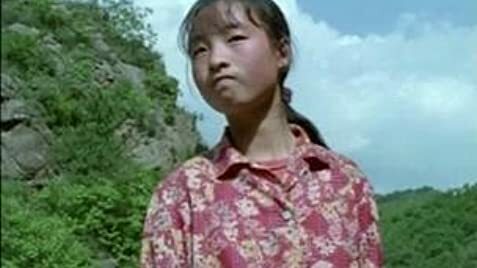 She is truly one track minded to find the lost student and to bring him home back to the village, and does not care if others are curt with her, or impolite; she's just very focused on achieving what she came to the city for - to get Zhang Huike back to the village school - no matter what it takes! Simple setting. Poor village, city hustles. Children interactions/reactions are always a joy to watch. Lead character is devoid of guile and her stubborn determination is direct and innocent. The hesitation in her speech, her pause and silence held her own. Her performance is guileless - plainly so - that's how precious the performance is. An occasional smile is not easy to detect, as she is so engrossed in her mission; the continuous smile towards the end is well earned. There is magic after all. 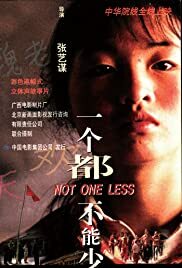 This is a rare gem from director Zhang Yimou, quite a different flavor from his film collaborations with heaven-sent leading lady Gong Li.